This post is brought to you by DON Smallgoods. Is Don. Is Good. There’s a country song about a sunset not being a sunset without a girl in it. I’m no sunset expert, but I do know food and in my book, party isn’t a party without prosciutto. 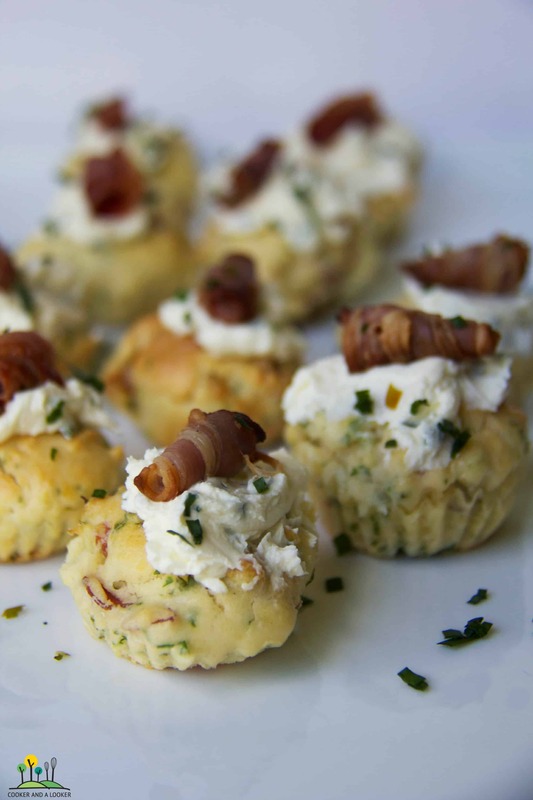 These little bite-sized savoury scones do double prosciutto duty; in the scone itself and the twill on top. I suggest you make the twills first and then use your offcuts for the scone mix. Even better, you can make them ahead of time and assemble them just before your guests arrive. 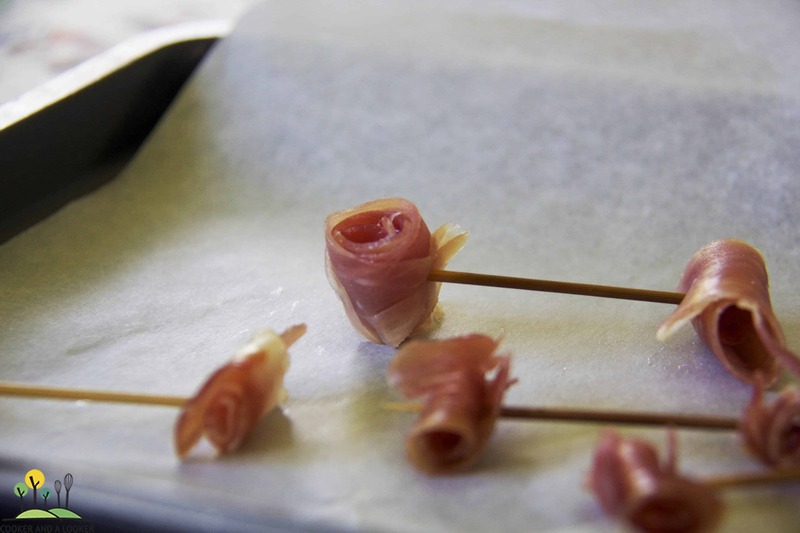 To make the twills, slice 8cm lengths of prosciutto and roll into 24 fine twills. Use a skewer to hold the twills together and bake in a 180ºC oven for 5-10 minutes. Meanwhile, combine the flours in a bowl. Add the lightly beaten eggs, cream, parsley and prosciutto until just combined. Spoon the mixture into a greased 24 hole mini-muffin tray and bake in a 180ºC oven for 12 – 15 minutes. Allow to cool. In a small bowl, combine the crème fraîche and half the chives and season to taste. 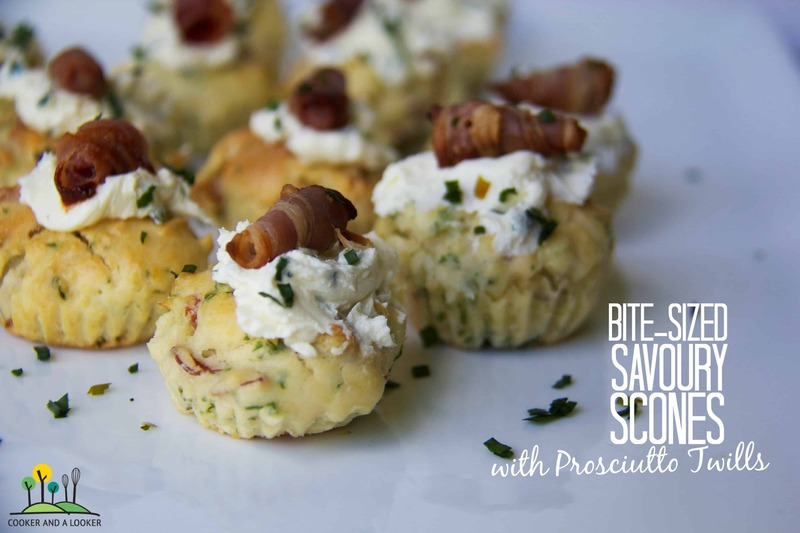 Spread about a half-teaspoon of the crème fraîche mixture onto the top of each savoury scone and top with a prosciutto twill. Arrange on a serving platter and sprinkle with the remaining finely chopped chives. Serve with cold white wine (girls and sunsets optional). P.S. I’m giving away a few small things to thank my Facebook fans and email subscribers. Click here to find out more, but hurry – the winners will be drawn on Monday! mmmmmm…. fancy ham and olives….. think we should tapas again soon! Did you get accommodation for Problogger sorted? They look fancy, but they’re really pretty easy Em. You can do it! P.S. What did you wind up packing for the Easter bring-a-plate? ooooh these are simply ADORABLE!!!! Thanks Lisa – they’re no bacon roses, but the twills are pretty cute. I would definitely say Prosciutto and Cheese! They look divine and something that my entire family would love. Thanks for sharing and for linking up with our Worth Casing Blog of the Month. They look fantastic! Lovely little snack recipe! So pretty and adorable. What a great recipe! These look absolutely mouthwatering. Add ham or bacon to anything and it’s just so wonderful!